The Cystic Fibrosis Foundation – the world’s leader in the search for a cure for cystic fibrosis, and one of the most innovative and successful organizations of its kind – is seeking a Part-time Temporary Event Support Specialist (working 20 hours a week) in Austin, TX to support the execution of events. Responsibilities include coordination of pledge-based events (Walk & Golf Tournament) and assisting with logistics and providing administrative help on other Chapter special events. Other duties includes: development of collateral materials, Day of event and post event logistics, help with registration, silent auction check out, data-base management, securing volunteers, event execution and follow up; and coordinating of mailings. Some heavy lifting may be required. The ideal candidate will have 1-2 years of work experience. Must have working knowledge of Microsoft Office. Requires strong administrative skills, ability to manage multiple projects, prioritize, must work flexible hours, nights/weekends as needed and stay highly organized to ensure timely and accurate work. The Cystic Fibrosis Foundation has 70 chapters and branch offices across the country that work diligently to raise funds to help support the search for a cure. 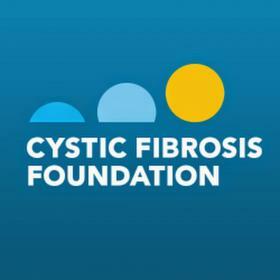 In addition, the Foundation provides funding for and accredits more than 120 CF care centers and 53 affiliate programs nationwide, including more than 100 programs for treating adults with CF. The high quality of specialized care available throughout the care center network has led to the improved length and quality of life for people with CF. Located at teaching and community hospitals across the country, these care centers offer the best care, treatments and support for those with CF.